The upfront solar installation costs for large solar farms can be a barrier for nonprofit agencies, schools and churches. Since they have no fiscal responsibility, these entities can not take advantage of tax incentives that would help reduce the solar panel investment. But what if a third party that is not a nonprofit and can take advantage of these rebates and credits owns the solar array? They can pay to install and operate a solar system on the nonprofit’s property, allowing the latter to save on its electricity costs, without having to pay anything upfront. By combining forces, these agencies can certainly enter the renewable energy revolution. These alliances are called power purchase agreements (PPA) and churches in the state of Virginia are the latest to use them to offset their electricity bills by turning into solar power homes of worship. One of these churches is Our Lady Queen of Peace in the city of Arlington that took the Pope Francis’s encyclical on climate change to heart and went ahead to install 154 solar panels on its building, the rectory, and the parish hall, that would generate 95kW, about 42% of their energy needs, reported Solar United Neighbors, an organization dedicated to representing the needs and interests of solar owners and supporters. And following Pope Francis’ call in favor of renewable energy, the solar system in the church property will reduce greenhouse gas emissions equal to removing 195 cars off the road over the next 25 years. 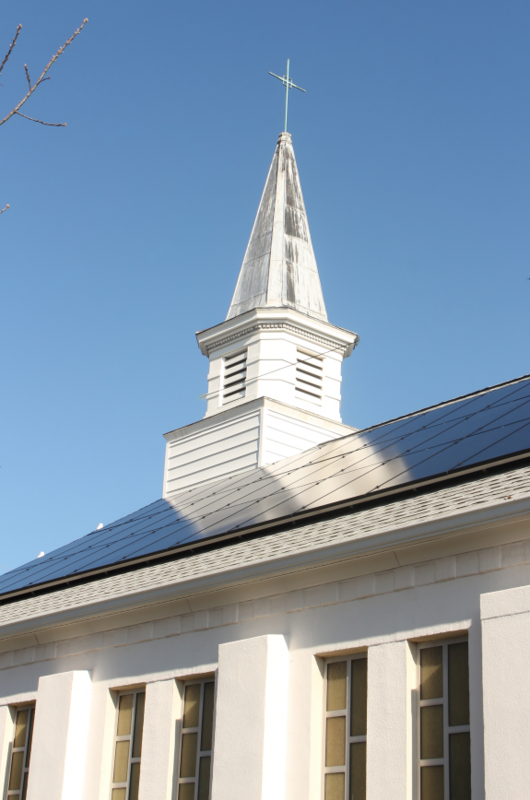 One of the church’s parishioners financed the solar project by creating an LLC. Thus, he will be able to take advantage of the 30% federal tax credit available to solar owners. A Norfolk school did a similar arrangement to enter the solar power world. Parents at Norforlk Academy also set up an LLC to purchase a solar system for the campus at no cost to the school, their partner in the project. They estimate the investment will be recovered in the next seven years, while the benefits to the school will last for decades. 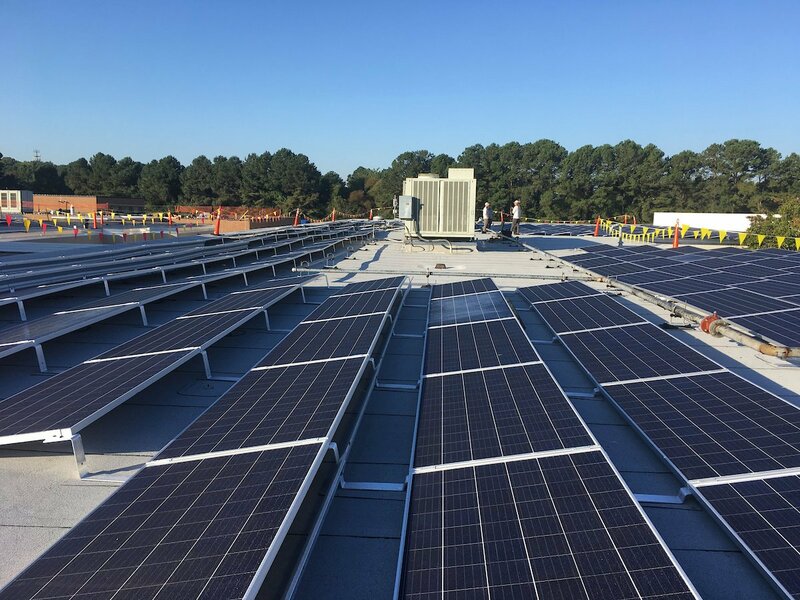 The 2,000-panel, 650 kW solar array is one of the largest rooftop systems in Virginia. There is also an educational component to the effort. Touch-screen kiosks inside the school give real-time data about the energy produced by the solar panels to educate students about renewable energy. These projects exemplify the benefits of PPAs, financial agreements that are increasingly being used to tap into the solar power world. Around 2013-2014, solar PPAs were the primary method for homeowners to install solar panels in their homes because of the high cost involved in the project. In 2014, at their height, nearly 75% of all residential solar systems were purchased through a third party, according to Solar United Neighbors. That figure has dropped as the price of solar systems has come down. It is now more affordable than ever to have a solar system in your home and reap the benefits of the sun rays in producing electricity. PPAs are now more popular among nonprofit agencies, which often face a tougher time going solar due to limited financial resources and other factors. According to the Solar Energy Industries Association (SEIA), PPAs typically range from 10 to 25 years and the developer remains responsible for the operation and maintenance of the system for the duration of the agreement. “At the end of the PPA contract term, a customer may be able to extend the PPA, have the developer remove the system or choose to buy the solar energy system from the developer,” it explains. However, there are challenges that must be researched, and overcome, in some instances, before two entities sign on the dotted line. Another factor to consider at SRECs (solar renewable energy credits) which show the amount of electricity produced using solar energy. They are bought and sold through utilities. In most PPAs, SRECs are owned by the developer. When entering into a PPA, it’s very important to define who owns and can sell the SRECs generated from the solar system, recommends SEIA. Anyone thinking of installing a PV system should assess each of the financing options to find the best fit. If you’d like more information, click here.